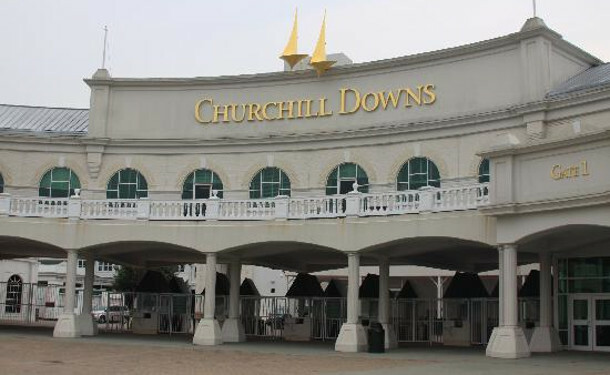 However, favorites have ruled the past three years, with California Chrome paying $7.00 in 2014, American Pharoah returning $7.80 in 2015 and Nyquist making it three Derby favorites in a row in 2016, paying his backers $6.60 for a $2 wager. It has been more than three decades since we have seen three consecutive Derby winners returning single digits. Even with the chalk winning the Run for the Roses, we have still seen decent exotic payoffs. The exacta with Nyquist and Exaggerator (5-1) paid $30.60, American Pharoah and Firing Line (9-1) combined for a $72.60 payout and California Chrome with longshot Commanding Curve (37-1) paid a hefty $340.00. The Preakness Stakes is by far the most formful of the Triple Crown races, and the past three years have been no different. California Chrome returned just $3.00 for his victory in 2014, followed by American Pharoah paying $3.80 in 2015 and Exaggerator was the second choice in the betting in 2016 and paid $7.20. Since 2001 just three Preakness winners have paid more than $9.00—Bernardini ($27.80) in 2006, Shackleford ($27.20) in 2011 and Oxbow ($32.80) in 2013. The Belmont Stakes has been tough to figure out in recent years with the exception of American Pharoah’s history-making Triple Crown run where he returned his backers $3.50 to win. Tonalist pulled off the upset in 2014 ending California Chrome’s Triple Crown bid and paid $20.40. Creator made a strong late rally to get his nose in front to pull off the upset in this year’s Belmont Stakes, returning $34.80 for the win. Exaggerator was a disappointing 11th as the beaten favorite while Nyquist skipped the third jewel of the Triple Crown in 2016. Sarava pulled off the biggest upset in Belmont Stakes history in 2002, returning $142.50 for the win and ending the Triple Crown bid of War Emblem, who stumbled coming out of the starting gate as the betting favorite. Will the betting trend continue with short prices in the Triple Crown races? It seems doubtful. Dating back three years the average win payoff in the Kentucky Derby is nearly $28. It would be no surprise to see the toteboard light up again next spring on the first Saturday of May. Michael Dempsey provides his handicapping analysis daily at turfnsport.com.